The Malaysian education system is on track to becoming among the world’s best as stringent monitoring is in place to ensure its success under the Government Transformation Plan (GTP). “The rate of improvement of the system in the last 15 years is among the fastest in the world,” the GTP report said. Malaysia also ranks among the top in the world for equitable access to education. However, Education Minister Tan Sri Muhyiddin Yassin said there was still a long way to go before Malaysia could justly claim that its education system was at par with the world’s best. “But the Government is committed to transforming it to be among the best in the region,” he said. The targets of GTP 2.0 include achieving 92% enrolment at pre-schools; scoring international average in Programme for International Student Assessment (Pisa) and Trends in International Mathematics and Science Study (TIMMS); and reducing urban-rural achievement gaps by 25%. 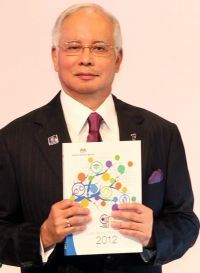 The initiatives under GTP encompasses changes aimed at “three-foot horizon”, which would form the first wave of change towards the overall goals of the 12-year Malaysian Education Blueprint. Four key initiatives under GTP 1.0 include improving access to quality early childhood education, Literacy and Numeracy Screening Programme (Linus), implementing high- performing schools and school improvement programmes, and implementing new deals for principals and headmasters. The initiatives aim to immediately arrest the decline in student outcomes and to establish a foundation for future improvements within the education sector.